Zedd's piano cover of Shawn Mendes' hit single, 'Lost in Japan', will have you bopping your head. 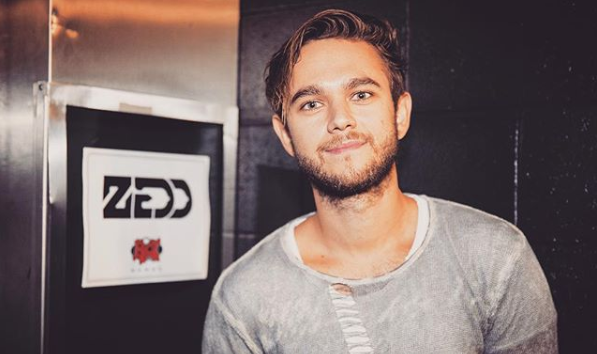 Zedd is giving music lovers a taste of what a Zedd-Shawn Mendes collaboration would sound like. The record producer and DJ took to Twitter this week to share a cover of Shawn's song, 'Lost in Japan'. Zedd plays the piano in the funky version of the track. The 28-year-old has been hinting about an upcoming collaboration with Shawn for several months now. He recently confirmed that the collab is "100%" happening. "There will be a song. We have a song we wanna work on that Shawn started," he told Capital FM's Roman Kemp last week. Zedd says the song will be completely different to anything either one of them has ever released. We can't wait! We will just continue listening to Zedd's rendition of 'Lost in Japan' until then. Shawn's smash hit, 'In My Blood', is currently at number 17 on The Chamberlains Top 20.